stitches, flowers, paint, scribbles, and much more! This set of stamps were made as an add-on for the the January 2019 Storyteller. Included are 38 Digital Stamps in PNG format as previewed. 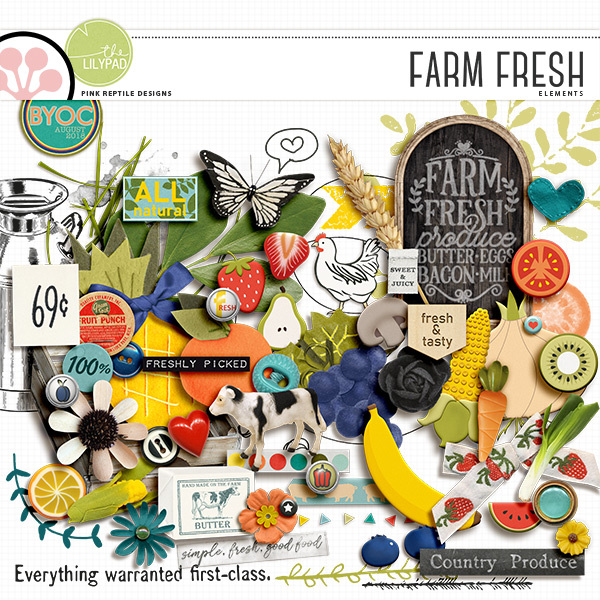 A mixed media element pack that coordinates with the December 2018 Mixed Media Monthly. This paper pack includes five white hand painted 12x12" backgrounds ideal for digital and hybrid scrapbooking, digital artistry, art journaling, paper crafts and more. Created at 300 DPI for optimum print results. Saved in JPG format. 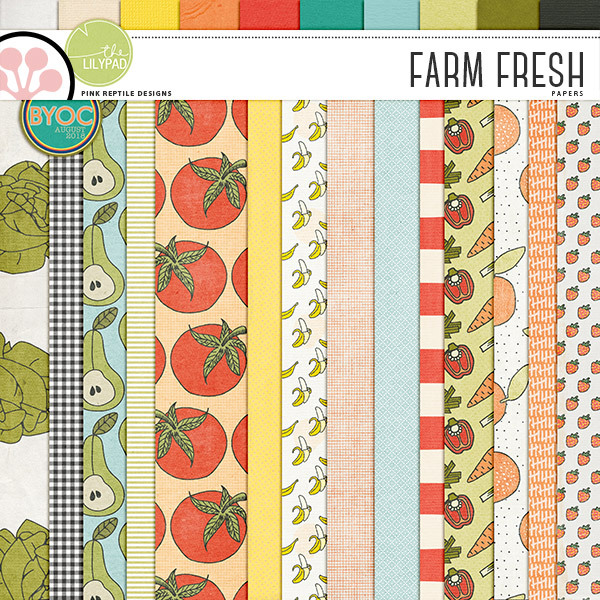 Fast Food - Revisited is a digital scrapbook kit by Kristin Aagard that includes a variety of elements and papers to create fast food and play area themed scrapbook pages and projects. This kit coordinates with the original Fast Food kit, available HERE. This addition offers new elements to scrap those play zoned photos so many of us have taken of our kids having fun...instead of eating! Please note that the scrapbook layouts included in the detailed images are created using elements and papers from Fast Food Revisited and from the original Fast Food kit (available HERE). Please enlarge preview for detailed images. This is a digital scrapbooking product; no physical product is provided. All files are created at 300 dpi. Papers are 12x12 jpg. Several elements may be included in multiple colors for your convenience. Alphas and elements are saved in individual files in png format. Please note that it is possible that example layouts may include elements/word art and/or use templates that are not included in this kit. Please refer to detailed item list above. Whether your tribe is your family or your friends or both, gather around a table, serve food made with love, and have genuine conversations you'll remember for the years to come. My tribe digital scrapbook collection will help you document these precious memories you captured with your favorite people. Download My Tribe pocket cards by clicking the add to cart button and start documenting your unique story today. Download My Tribe papers by clicking the add to cart button and start documenting your unique story today. Download My Tribe elements by clicking the add to cart button and start documenting your unique story today. 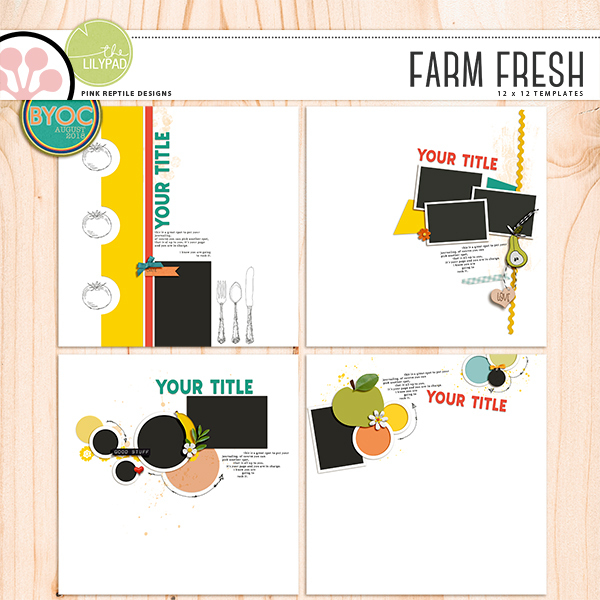 Let these 4 amazing 12 x 12 templates help you scrap your signature homemade salad, your jawdropping garden growth, visit to the farmers market or to help you mark your healthy food goals. A great set of 70!!!!! quirky and unique elements in all kind of shapes, sizes, textures and styles. Totally inspired by the farmers market and a healthy lifestyle. Perfect for scrapping your signature homemade salad, your jawdropping garden growth, visit to the farmers market or to help you mark your healthy food goals. Everything you need to scrap those and more is right here! A great set of 15 fantasticly fresh patterned papers, 7 alternate color combinations PLUS 10 beautifully textured matching solids. Which makes this a fantastic pack of 32 papers in total!! 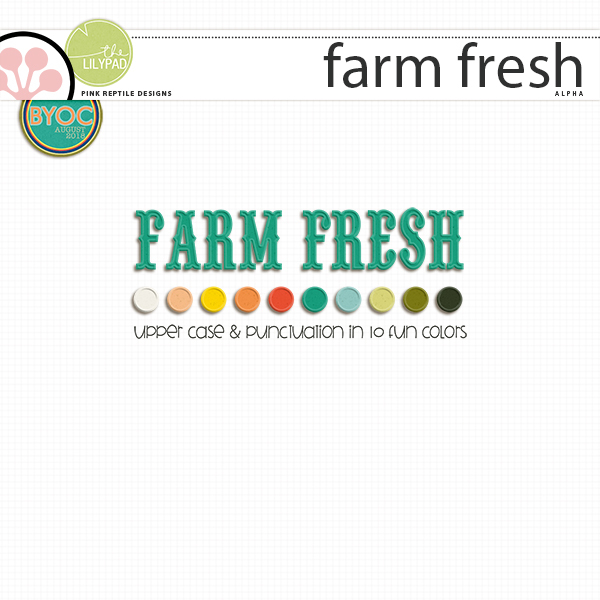 A cute, country upper case alpha with numbers and punctuation that comes in 10 easy to use and re-use colors! Perfect for mixing and matching and creating eye catching titles. Also cute as tiny monograms.